If you live in Delaware, Pennsylvania, or Maryland, consider contacting American Benefits Group for your health insurance needs. The insurance company, which was started in 1994, offers insurance for individuals and families, as well as for small businesses and the self-employed. It does not matter where in the United States you live, simply enter your zip code in the box below and we will find you the health insurance rates for your area! Along with health insurance, American Benefits offers other products such as dental plans and Medicare supplement plans. If you find yourself between jobs without health insurance or COBRA coverage, or lack coverage for other reasons, they also offer Short Term Medical Insurance plans. 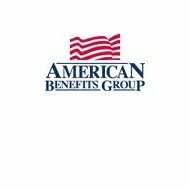 American Benefits Group agents serve as insurance brokers, offering Aetna, American Medical Security, Blue Cross Blue Shield of Delaware, Banner Life, Coventry, Golden Rule, Guardian Life, Guarantee Trust Life, John Alden, and United Healthcare products. They will work with you to find the best possible health insurance plan for your needs. Individual and family health insurance plans are issued through Assurant Health. Short-term medical plans are John Alden products. Blue Cross Blue Shield of Delaware Individual plans. American Benefits Group also offers dental plans. You can choose between Secure Dental One and Smile Dental: . For international and travel insurance. Additionally, American Benefits Group administers Medicare supplement policies to Delaware residents, and you can apply for that using this link. If you do not have insurance, you can find information on their Prescription Drug card, called Rx-Pay. Most likely because it is a small company, we were not able to find review of American Benefits Group. However, if you live in Delaware, Pennsylvania, or Maryland and prefer the individual attention of a dedicated insurance broker, you might want to give them a call and see if they fit your needs. Looking for other health care providers? Get more health insurance rates by typing your zip code in the box below.